Through their exploration of the body and breath, the ancient yogis discovered that prana (life force energy) could be further subdivided into energetic components they called Vayus (winds). The five Vayus of prana all have very subtle yet distinct energetic qualities, including specific functions and directions of flow. The yogis were able to control and cultivate these Vayus by simply bringing their focus and awareness to them. Through this conscious control and cultivation they were not only able to create optimal health and well-being, but were able to activate the primordial Kundalini energy to obtain states of enlightened Samadhi. Complete mastery over the Vayus is not necessary to benefit from using them to improve our inward focus and the ability to feel the subtleties within the body. Cultivating a basic awareness of one or more of the Vayus will help us deepen our awareness of body and breath to enrich our yoga practice. The two most important Vayus are Prana-Vayu and Apana-Vayu. Prana–Vayu is situated in the head, centered in the third-eye, and its energy pervades the chest region. The flow of Prana-Vayu is inwards and upward. It nourishes the brain and the eyes and governs reception of all things: food, air, senses, and thoughts. This Vayu is the fundamental energy in the body and directs and feeds into the four other Vayus. To experience Prana-Vayu: Close your eyes, sit or stand with a long spine and relaxed body, and as you inhale feel an energy flowing up the torso from the belly to the third-eye. Vyana–Vayu is situated in the heart and lungs and flows throughout the entire body. The flow of Vyana-Vayu moves from the center of the body to the periphery. It governs circulation of all substances throughout the body, and assists the other Vayus with their functions. To experience Vyana-Vayu: Close your eyes, sit or stand with a long spine and relaxed body, and as you inhale feel the breath radiating outward from the navel to the arms and legs. Udana–Vayu is situated in the throat and it has a circular flow around the neck and head. It functions to “hold us up” and governs speech, self-expression and growth. To experience Udana-Vayu: Close your eyes, sit or stand with a long spine and relaxed body, and as you inhale and exhale feel the breath circulating around and through the head and neck. Samana–Vayu is situated in the abdomen with its energy centered in the navel. The flow of Samana-Vayu moves from the periphery of the body to the center. It governs the digestion and assimilation of all substances: food, air, experiences, emotions and thoughts. To experience Samana-Vayu: Close your eyes, sit or stand with a long spine and relaxed body, and as you inhale and exhale feel the breath rising and falling in the front, sides and back of the torso. Awareness of one or more Vayu has several applications in yoga, and is most easily illustrated within a yoga posture. The awareness of Prana-Vayu creates a focus to lift, lengthen and open the upper body. The awareness of Apana-Vayu creates a focus to ground and stabilize the lower body. The awareness of Vyana-Vayu creates a focus of strength and fluid movement body. The awareness of Udana-Vayu creates a focus to maintain a long spine and a correct posture. The awareness of Samana-Vayu creates a focus to open and relax the body. I’m glad to hear this info was helpful to you! This comes from error in translating from classical ayurveda/yoga texts. The word “urdhwa” is used while describing prana vayu in classical ayurveda text named Ashtanga Hrudaya. Urdhwa when used as noun means head and when used as verb means upward moving. As prana is an energy better to take its meaning as upward moving. Thank you for explaining this. It is very interesting. I have just started taking yoga classes – 3 times a week. At the age of 60, I’ve had surgery on both elbows, both wrists and a thumb joint replacement and find it difficult to do many of the poses, but even after one month I am seeing an improvement in my overall health. Thank you, Timothy for this piece of very knowledgeable information. It was trying to search the explanation on the Internet and luckily I have found your page here. I hope I can be able to explore and understand more in order to apply with the practice. Namaste! I have a question regarding the inhalation and exhalation, and how you can experience the vayus within. whoah this weblog is fantastic i really like reading your posts. Stay up the great work! You realize, lots of individuals are searching around for this info, you could help them greatly. Thank you. Very clear explanations. Thank you for sharing the article on the five vayus. The explanation is very clear and easily understood by the beginners. I would love to read other articles of yours at leisure. Thank you once again. Thanks for simple and direct explanation. I will use this and credit your information in our yoga teacher training. Thanks so much for sharing this information on the Five Winds and making it so accessible! I’m inspired (!) to include the visualizations for the Prana and Apana Vayus in my breath class. FINE KNOWLEDGE FOR LEARNER LIKE ME. Thank you Timothy, I have been working on a study of the Vastu interior and your exposition of Vayu have been very helpful in understanding he energies that are Vayu. and how to make use of them when designing the interior decoration of a home. Namaste. I’m looking for information on bandhas to enable me to draw energy from different parts of the body and direct it to the sahasrara and thus attain Samadhi. Could you please guide me. Thank you. Hi, I am just wandering if the different names confuse people. For example the Prana Vayu sounds quite similar to the Kundalini experience. Are these Vayus the same as the chakra centers and how energy is directed around them? 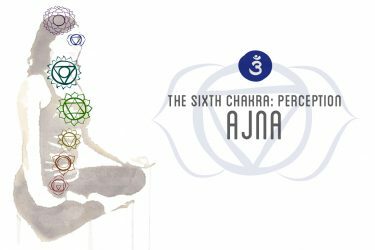 “Apana-Vayu governs the elimination of all substances from the body: carbon monoxide, urine, stool, etc. I think you want to say Carbon Dioxide and not monoxide. carbon monoxide is very toxic and we do not produce in our metabolism. I enjoyed reading this article, I just stumbled upon this site. Coincidence, in 2017 at 55 I completed my 200 hr certification at Kripalu, and Yoganand Michael Carroll was my teacher! It was the best experience of my personal life so far. Please feel very free to respond by e-mail. Unfortunately, I do not have any knowledge of the timing of the five Vayus on leaving the ‘dead body.’ Please update us if you find this out. The importance of Yoga… re: Ida and Pingala Nadia in conjunction with the Shusumna Nadi have long been recognised by the Medical Fraternity…in fact the adoption of the CADUCEUS as the medical logo is a tangible expression of its importance.